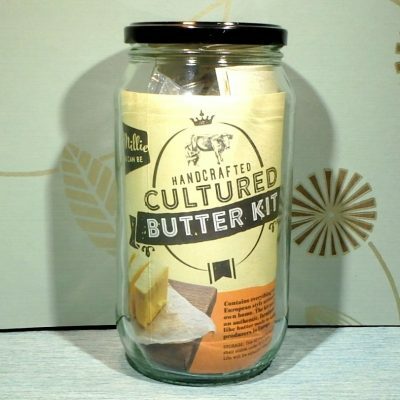 This kit contains enough culture to make 25 batches of Feta, using 4 litres of milk each time, and will have enough rennet for up to 40 batches. Not in stock? 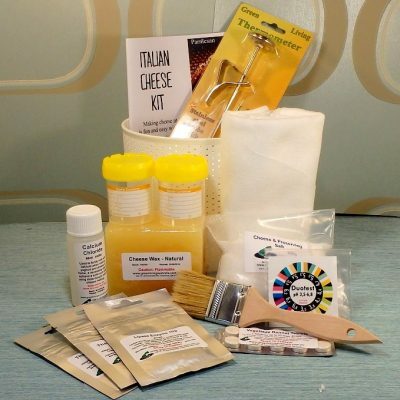 You can make Feta with our Fresh Cheese Kit as well! 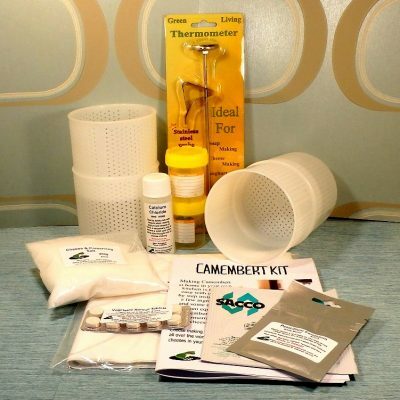 Purchase this product now and earn 33 Little Green Points! 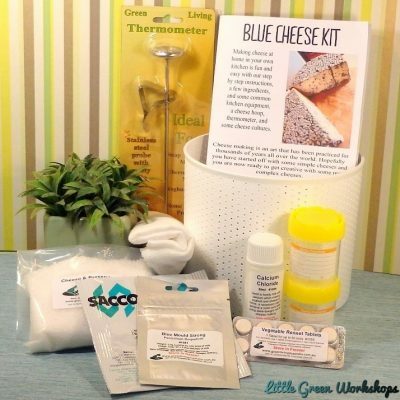 This Feta cheese making kit is ideal for those with no cheese making experience. 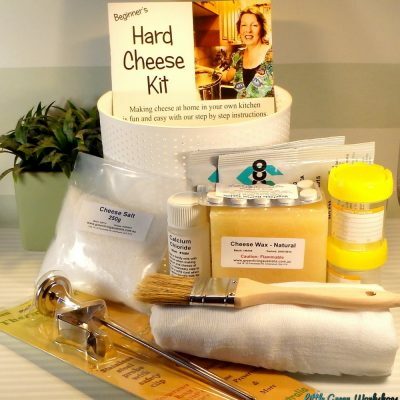 This delicious cheese can be eaten a couple of days after it is made. 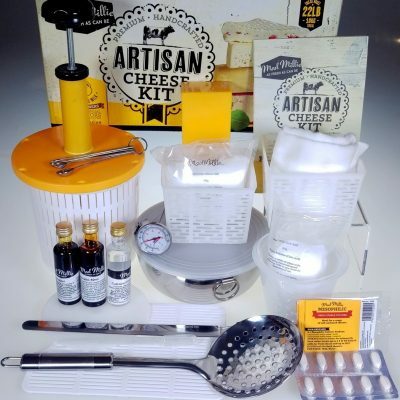 We do ship these products Australia wide, however, this kit contains ingredients that do require long-term storage in a freezer when it arrives. 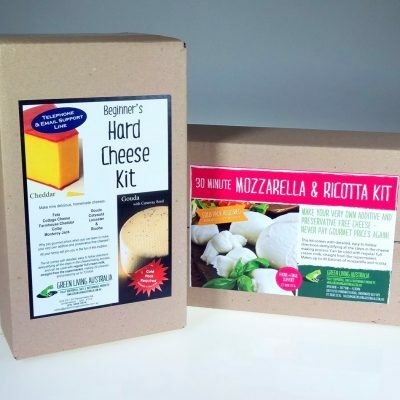 Extended time out of a freezer will decrease the shelf life. 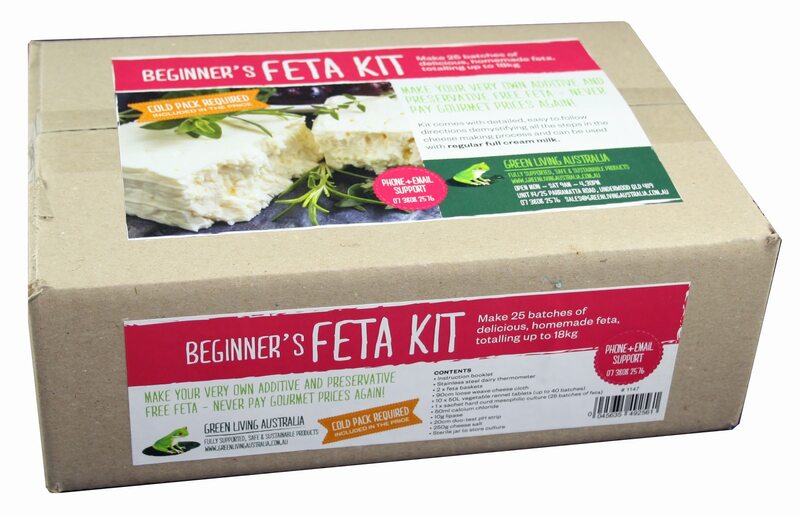 Gavin has produced a Feta video tutorial so you can see how easy it is to make! It is one of our favourite cheeses for adding to summer salads and tarts. So quick and simple to make at home. 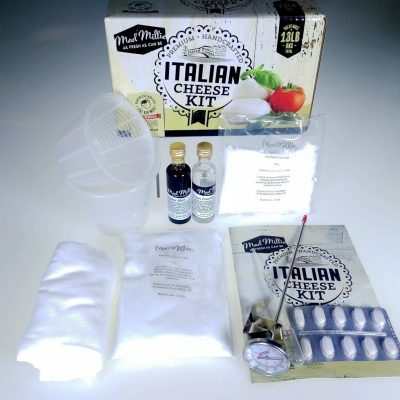 I was most impressed with the very quick delivery of my feta kit. Everything was just as described within the advert on the site. My only negative feedback would be if the Lyofast – starter culture, had obviously / biggish font on the front of the packaging, that you only require a minute amount. Yes it was my fault that I used to much as I didn’t realise that Lyofast can come in different variables, hence I use half the packet, opps! All things being equal,it’s a great product.